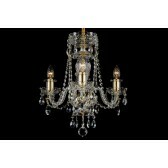 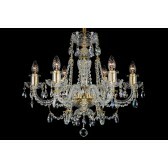 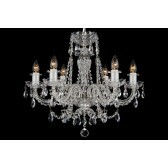 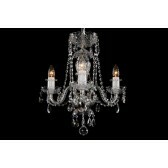 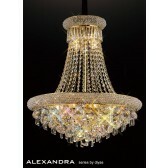 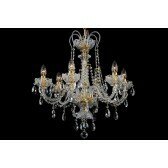 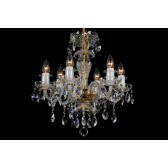 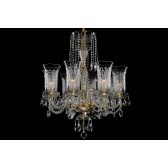 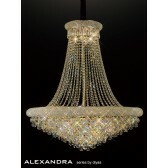 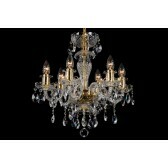 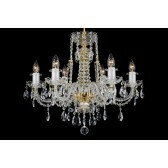 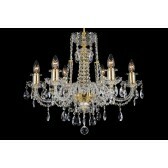 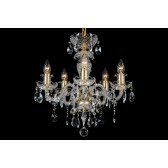 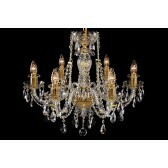 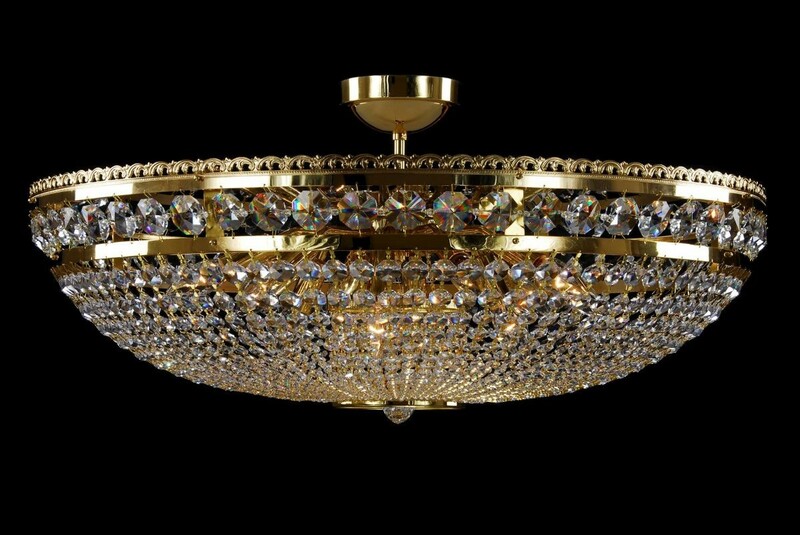 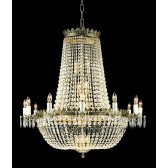 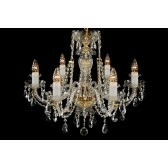 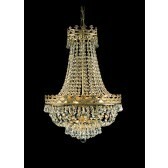 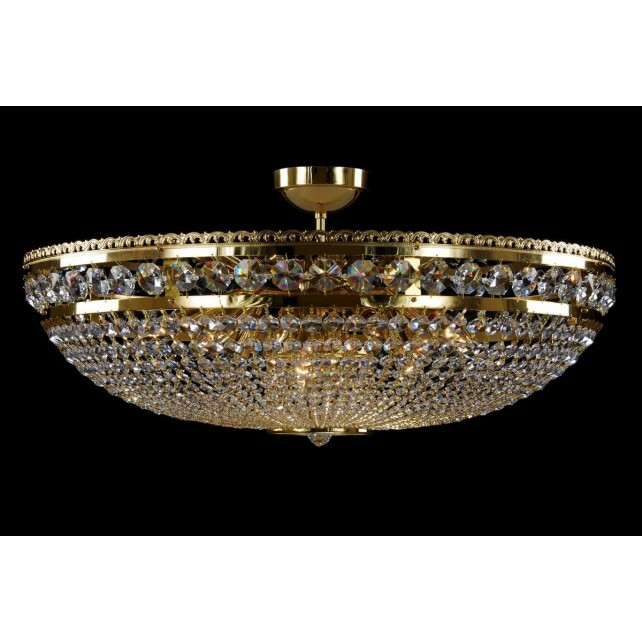 A twelve-light crystal chandelier with golden metal in the shape of a basket from the Leaded Crystal product range. 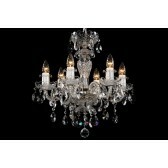 The chandelier sparkles and shines thanks to more than one thousand colourless leaded trimmings and beads of various sizes. 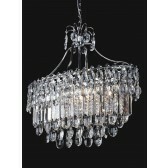 We recommend hanging this chandelier in spacious interiors with low ceilings. 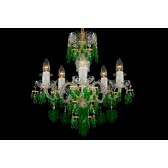 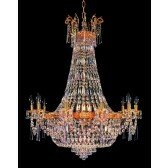 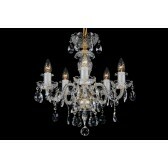 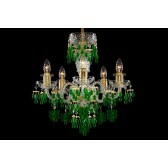 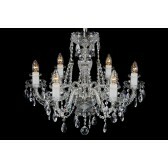 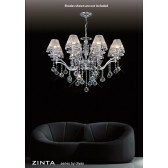 You can combine this chandelier with larger chandeliers of the same design.